With 62 votes in favour, and no votes against or abstaining from voting, the Parliament of Macedonia officially stripped MP Nikola Gruevski from his MP immunity. The MPs from VMRO-DPMNE did not attend the session. The President of Macedonia was also invited to attend the session, but he did not show up. 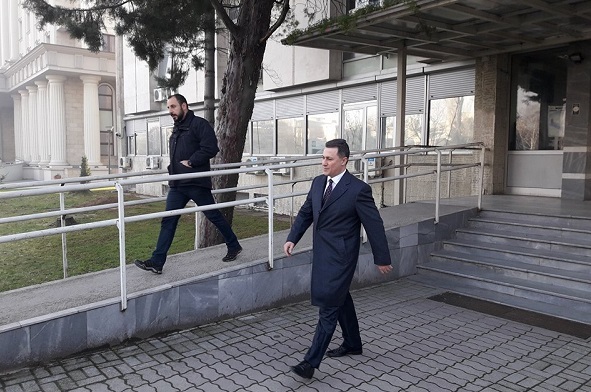 Previously, the Parliamentary Committee on Rules of Procedure, and Mandatory-Immunity Issues, chaired by MP Pavle Bogoevski, decided to initiate a procedure in the Parliament for stripping MP and former PM of Macedonia Nikola Gruevski from his MP immunity. In the previous attempt, the Parliament did not manage to strip Gruevski from his immunity because the 2/3 majority required for such action was not provided by the MPs. After this, the President of the Parliament Talat Xhaferi, in coordination with the MP groups, initiated the procedure once more, based on Gruevski’s absence from the Parliament for more than six months.